'Legends of Tomorrow' Cast Talks Season 4 at SDCC! If you attended SDCC, you know that one of the bags that came with your lanyard at pick-up was Legends of Tomorrow and featured the freaking adorable Beebo. I admit, I wanted to trade my Aquaman bag for that one, but never got around to it. The cast of the show knows that everyone is just as curious about what Beebo’s arrival and the opening of that portal means, and we talked with Brandon Routh and Caity Lotz about it. 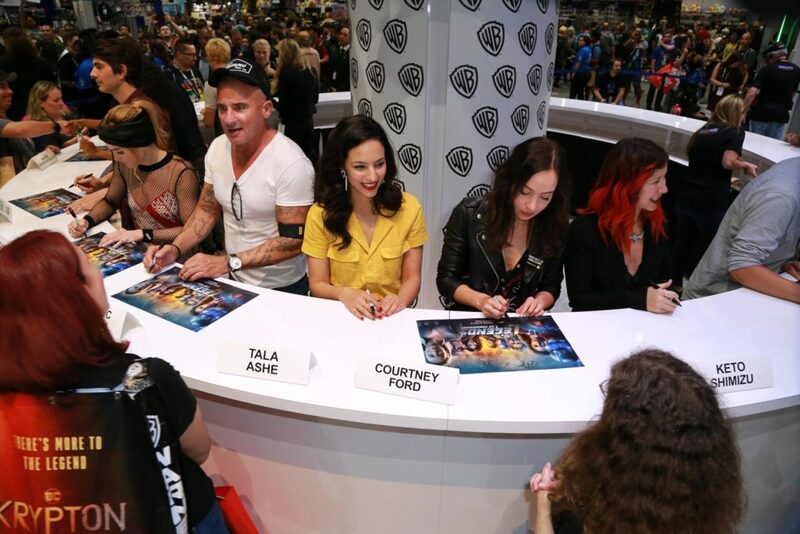 Finally, we spoke with Tala Ashe and Jes Macallan! These two ladies are fantastic and can’t wait explore their characters storylines in the upcoming season. You can check out the trailer for season four here! It will premiere on October 22nd on The CW.